While the top university in the world has already incorporated Blockchain technology in their syllabus it is important for us to understand why it is happening. Blockchain has transformed the way most of the companies were operating. India’s largest private banking provider, SBI has publically announced that they will operate on Blockchain for KYC and smart transactions. 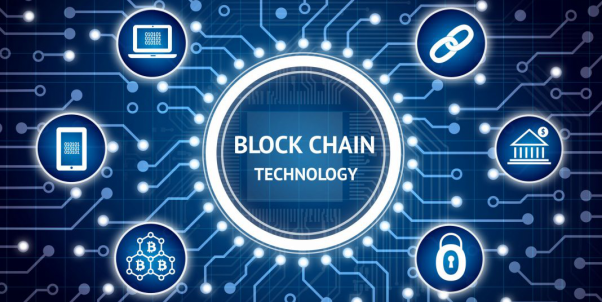 The very nature of Blockchain is that it is much secured – there is no way one can change the entries, irreversible – you need to know the input to decode the output, there is no other way. And everyone can see the details of the transactions from anywhere. This almost feels like a right out of a Tom Cruise movie. So these salient features of Blockchain have made it the most sought-after technology for BFSI in India. Blockchain has become the buzz word for most early adopters. The very idea of integrating a Blockchain API framework is driving the crazy. There is not much of evolution after the buzz as people have started to adapt to the technology. We will soon be seeing rapid growth and development within Blockchain itself. Blockchain was a functional algorithm used for bitcoin transactions. Yes, you read that right. Bitcoins, the cryptocurrencies are transacted using the Blockchain. So the person who found the bitcoins eventually found the Blockchain technology as well. And it is Satoshi Nakamoto. What is in for us? India is known to be the early adopters of technology and it is the global IT hub. The penetration of new technologies gives us better chances to stand out from other countries. Most of the countries outsource IT to India due to cheap labor and easy investment. Blockchain courses are picking up moment in the light of banks like SBI and axis giving it a nod. Just like other Android development training course, Blockchain is also offered as an online course. The structural aspect of the course is to make one understand the building blocks of the Blockchain, the functionalities of hashes, the consensus etc. API integration was a boom. The open nature of the system lets developers customize the blocks on how we would want it to function. Industry experts still try to develop Blockchain for all cryptocurrencies like Ethereum, Litecoin, Zcash, Ripple etc. Since the authenticity and regulation of crypto world are unclear the development is stagnant. Once people start to adapt and becomes a widespread phenomenon, we will hopefully see rapid growth in this space. Any coder with advanced knowledge of C++, JAVA, Python, Solidity, Go etc. will be able to learn Blockchain without much of difficulty. The primary aspect of Blockchain is in understanding how it works and customizing a block for our need. We need to understand the concept of decentralization and how it will help in look at the bigger picture instead of a skew variant. In BFSI, a decentralized process would avoid Cibil impact which will help us in evaluating the data in a detailed manner.